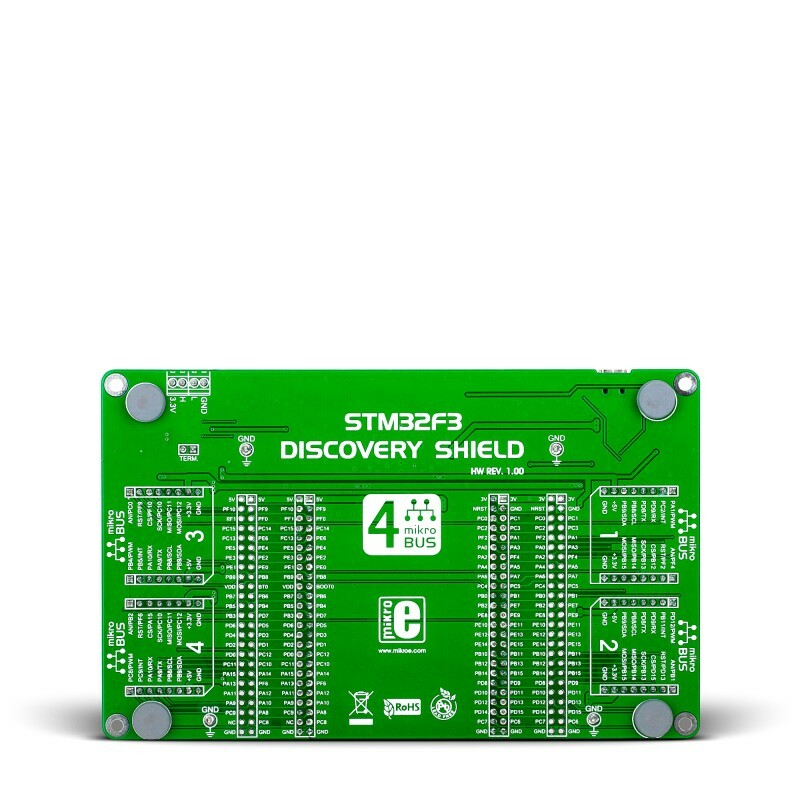 STM32F3 Discovery Shield is an extension for STM32F3 Discovery Board from STMicroelectronics. 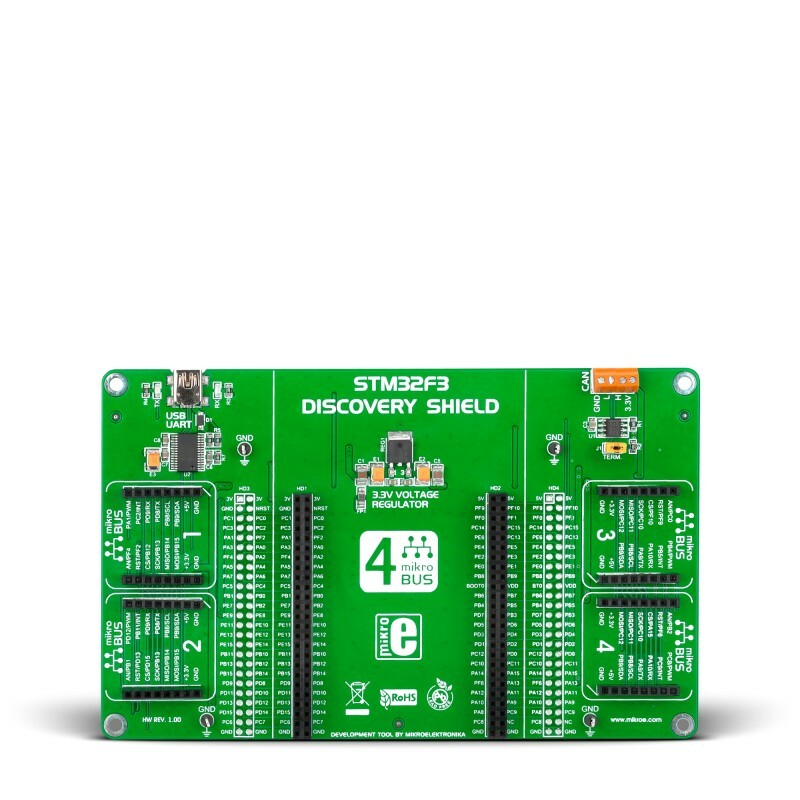 It carries four mikroBUS host sockets, USB-UART module and CAN transceiver. Use it to quickly turn your Discovery board into fully working device.